What is nicer than a stroll through beautiful gardens on a warm, sunny afternoon followed by a delicious summer lunch with friends? 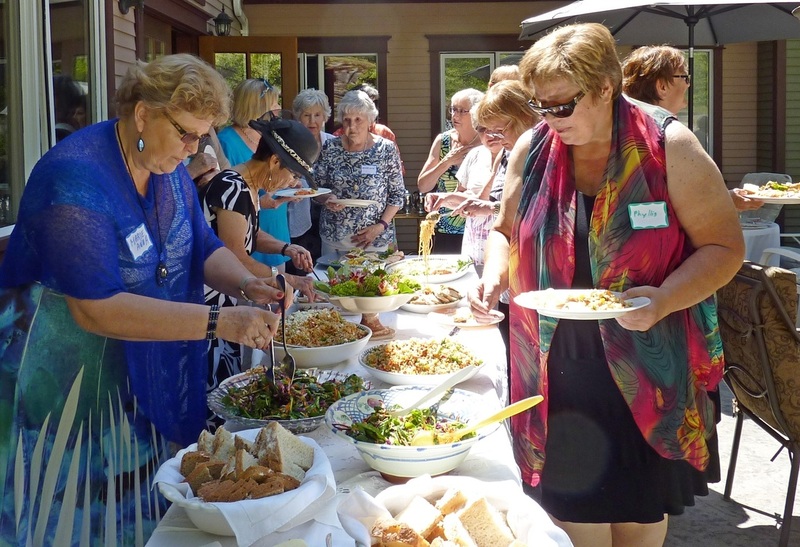 If you were one of the 65 participants who attended the Canadian Federation of University Women - Sunshine Coast (CFUW-SC) annual luncheon on June 6 at beautiful Linwood House in Roberts Creek, then you know just how special it can be. Three new members of CFUW-SC coordinated the event, which included a fashion show and a wonderful buffet lunch catered by Gwen McVicar of Linwood House. 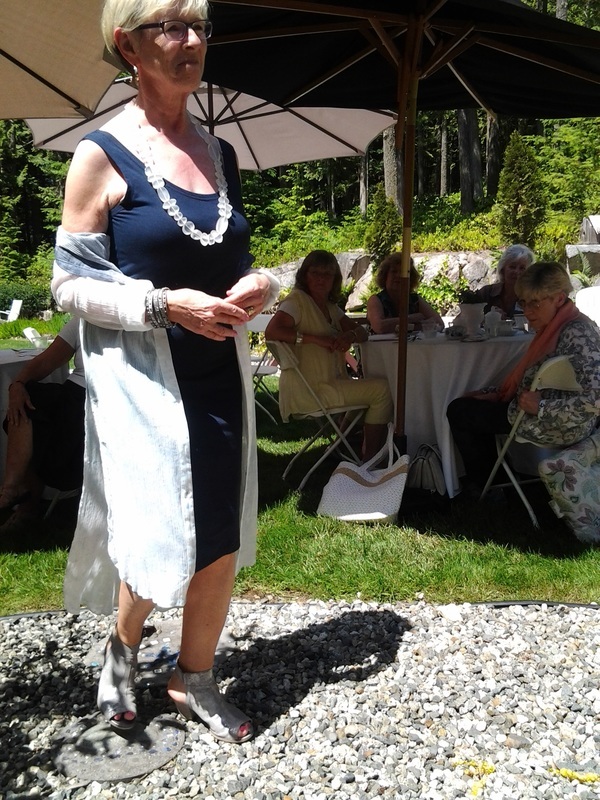 ​During lunch everyone was delighted by a fashion stroll with eight CFUW members modeling fashions provided by Blue Magnolia (owner Lonnie Pasareno) in downtown Sechelt, with Blue Magnolia manager Wendy Skeath working hard behind the scenes. Commentator Beverly McEwan noted the models all looked great in the beautiful collection of comfortable boho chic clothing, shoes and accessories. Rexall Drugs in Sechelt provided the gift basket door prize. 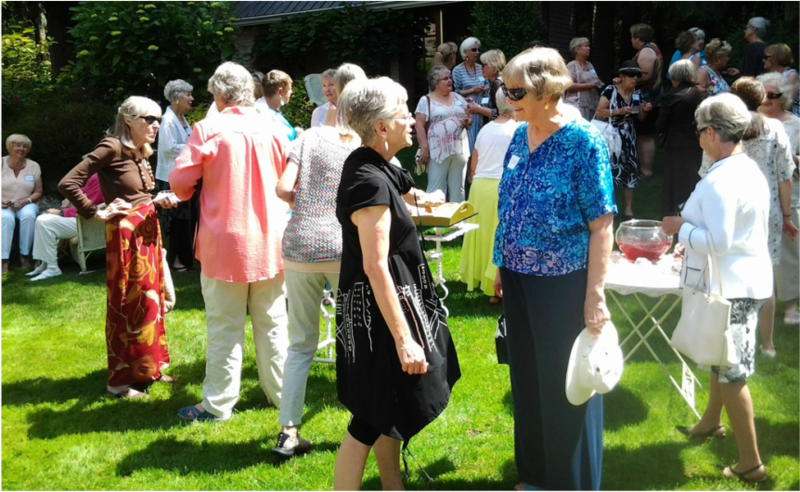 ​Unni Claridge, incoming CFUW-SC president, expressed appreciation to everyone for their hard work to make this a successful event and to Ellen Smith, outgoing president, for her capable leadership over this past year. Bouquets to everyone!